Ed Steinberg joined New York University Stern School of Business as an Adjunct Professor, where he teaches the courses entitled, "The Global Economy," and "Firms and Markets." 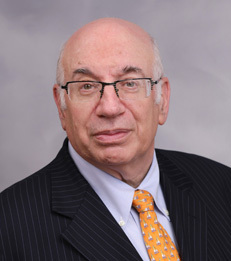 Professor Steinberg has taught in the Economics M.A. program at NYU since 1988, and after retiring as a staff director at the Federal Reserve in 2002, he has taught full time at Ramapo College, West Point, Quinnipiac, Shippensburg and Columbia Universities. At the Fed, Professor Steinberg wrote booklets that have been used in colleges across the country. Earlier in his career, he was an Economist at AT&T and the Bureau of Economic Analysis of the U.S. Commerce Department. Prof. Steinberg has a Ph.D. in Economics from New York University.